Speaking to officials of the European Gas Conference, in view of the conference to be held in late January in Vienna, Gazprom deputy chairman Alexander Medvedev announced that Turkish Stream gas pipeline has entered its final stage of completion. 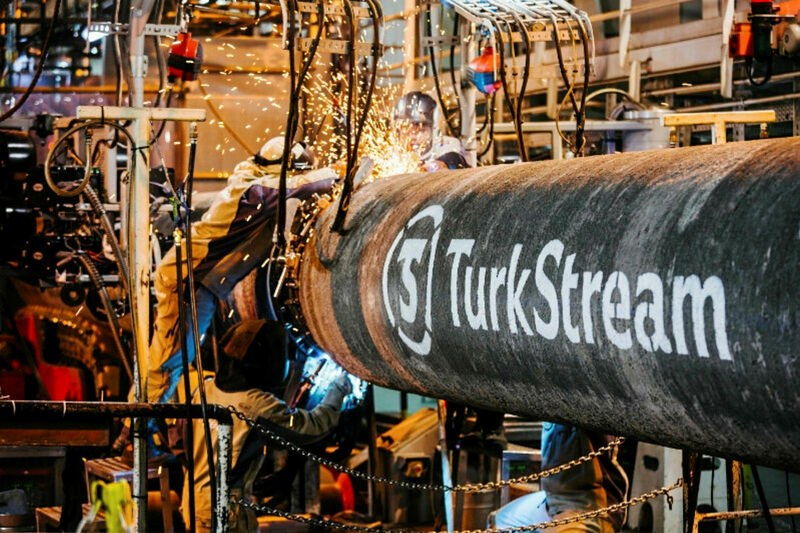 At the end of 2018 Gazprom had completed the offshore part of TurkStream in the Black Sea and “in the end of 2019, according to Alexander Medvedev, the pipeline will be operational, to ensure the supply of gas to both Turkey and the countries of SE Europe”. Gazprom’s deputy chairman also said that the pipeline in the Baltic Sea continues to be placed on the Nord Stream II pipeline, which is expected to transport 55 billion cubic meters of gas per year from Russia to Germany, enough to supply European households with 26 million cubic meters of gas per year. “Up to now, more than 300 km of pipelines have been installed, mainly in the coastal region of Germany, in its territorial sea and its EEZ, as well as Finland’s EEZ. We assume that the Nord Stream II pipeline will be operational at the end of 2019”, he noted. “Natural gas can and must play a key role in Europe’s transition to a low-carbon economy”, said Alexander Medvedev, pointing out that Gazprom presented its vision of how natural gas can contribute to European climate neutrality 2by 050, as “natural gas can substitute for coal in electricity generation and petroleum products in transport, in order for Europe is able to meet the climate targets for 2020”.